Salescaster’s STARFIRE 16mm Outdoor LED signs and our custom cabinet and configurations are ideal for your parking garage needs! Parking Garage LED Signs for both interior and exterior applications. 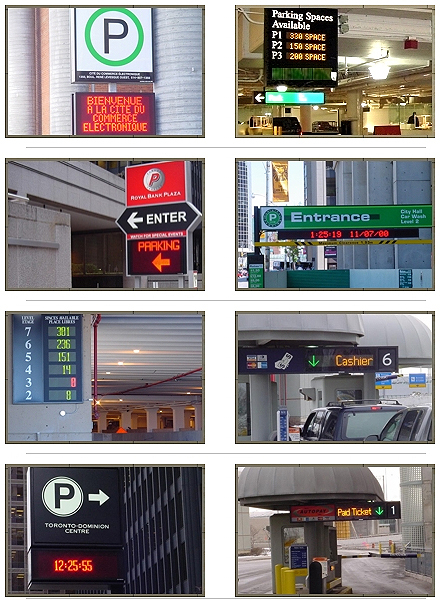 Programmable parking signs not only attract customers to a parking facility, but LED parking garage signs help eliminate traffic confusion and congestion by guiding motorists in the right direction. Our programmable LED signs notify your customers of spaces available signs. Salescaster has your Parking Garage solution for any application.